We had a lot of fun with Mary Kay Andrews on Memorial Day weekend- we sold out of books at her Duck signing which landed her at #10 for Duck! An instant New York Times bestseller (May 2018) from the author of The Weekenders - a delightful new novel about new love, old secrets, and the kind of friendship that transcends generations. Eccentric heiress Josephine Warrick is a notorious recluse - reigning over a crumbling pink mansion on a private island, she is rarely seen but often whispered about. So when Brooke Trappnell, a struggling young lawyer, is summoned to the island, she has no idea what's in store. As she listens to Josephine recount a story of old friendship, dark secrets, and a mysterious murder, it becomes clear that Brooke is there for two reasons: to help protect Josephine's beloved island, and to make amends with her old friends, the skinny-dipping, secret-keeping girls of the The High Tide Club. To fulfill a dying woman's last wish, Brooke must track down the descendants of Josephine's closest friends and bring them together for a reunion of women who've never actually met. But in doing so, Brooke uncovers a scandal that could make someone rich beyond their wildest dreams…or cause them to be in the crosshairs of a murderer. 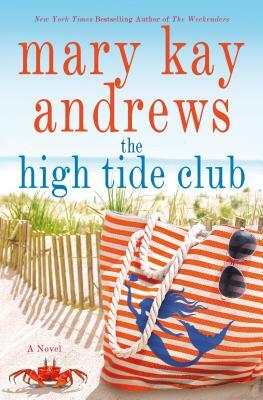 The High Tide Club is Mary Kay Andrews at her very best - a compelling story steeped in mystery, fierce friendship, love lost and possibly...love found. A Southern Living Beach Books recommended read! An instant New York Times bestseller(May 2018)!